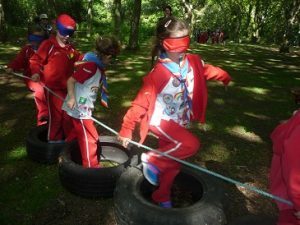 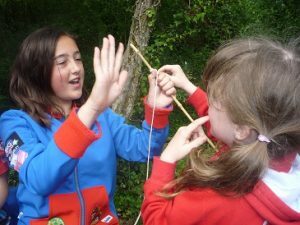 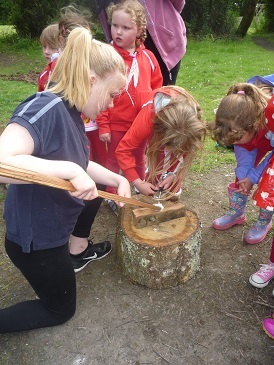 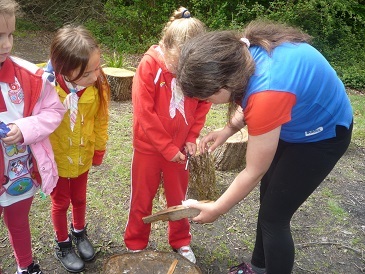 In celebration of 30 years of Rainbows (the youngest members of Girlguiding aged 5-7) members of the Needles Section attended an afternoon of fun learning, activities and games at Corf Camp. 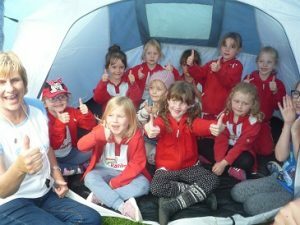 2017 sees the 30th anniversary of the first Rainbow units across the UK and on the Island the number of units and girls attending has steadily grown over the years. 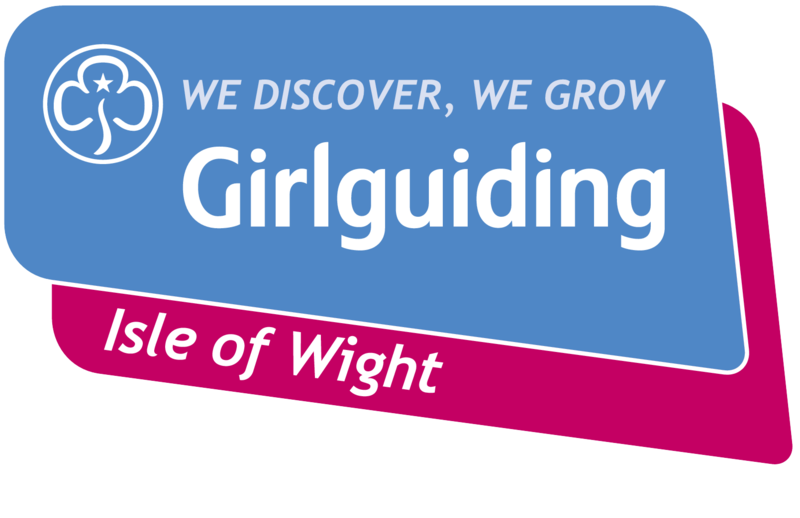 Carol Firth, Commissioner of the Needles Section which encompasses the Central, North and West areas of the Island, arranged this special event together with other unit leaders. 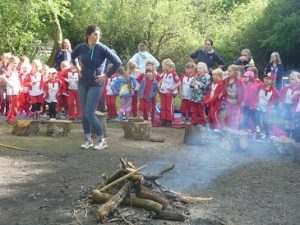 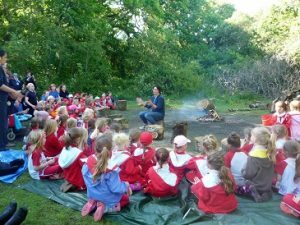 learning how to light a fire and toasting marshmallows on a real wood fire. 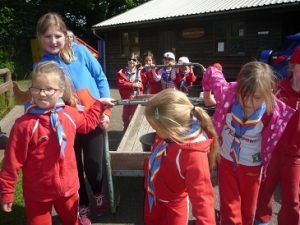 Several leaders and Guides from the 1st. 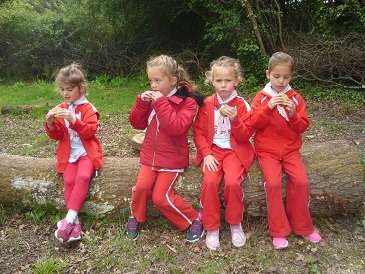 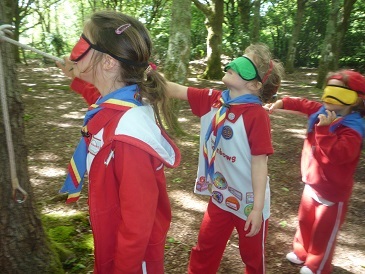 Carisbrooke Unit acted as instructors to the younger girls across the range of outdoor activities.